This cake & cookie set by Home Style Kitchen™ has everything you need to start baking up delicious treats. Carbon steel construction provides excellent heat conduction for even baking, and the non-stick coating makes cleaning up a breeze. 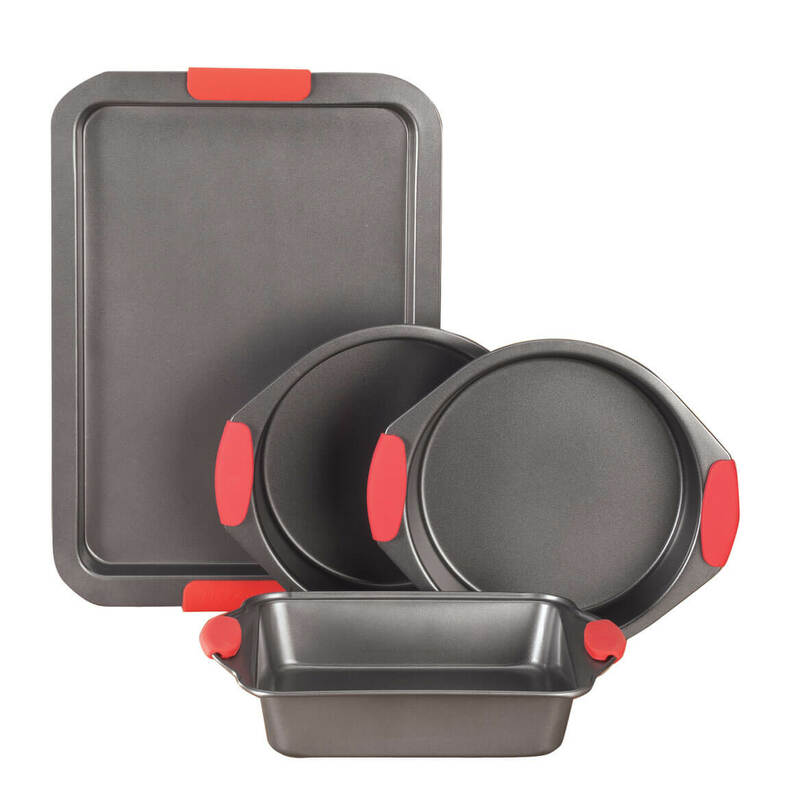 Each piece comes with sturdy red silicone handles that resist heat and offer a confident grip when removing from oven. Set includes 2 round cake pans (8″ dia. ), square cake pan (8″ sq.) and large baking sheet (13 1/4″ long x 9 1/4″ wide). Dishwasher safe.